Welcome back! You made it through week 1 and I am so proud of you! 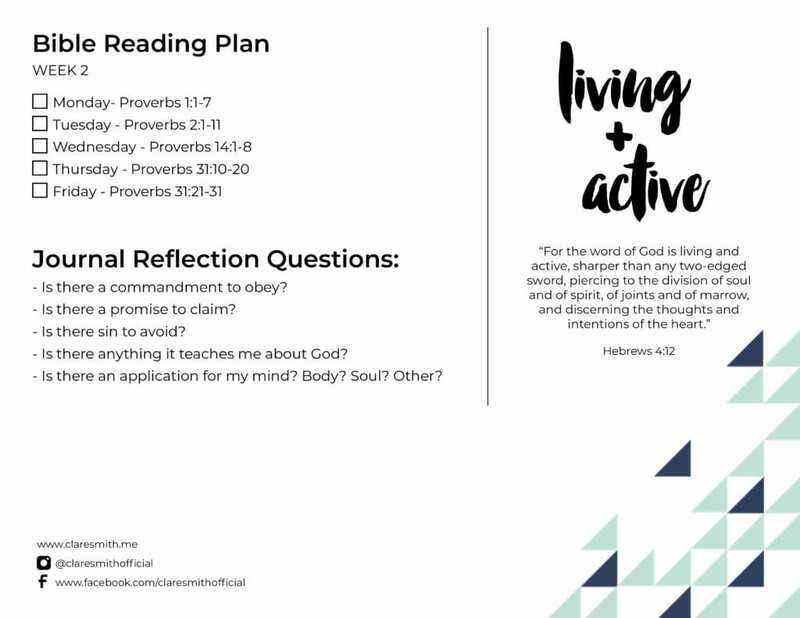 I need to do some admin stuff before we get to this week’s new focus, scripture memory, and our first check-in. I also want to link to two different posts: if you are looking for some resources for exercise, podcasts and nutrition, check out this post. 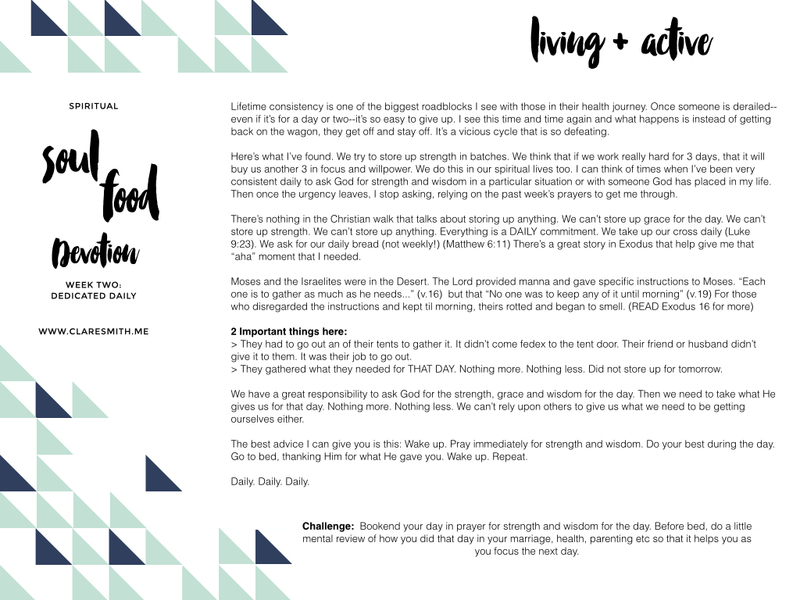 And if you are trying to have some tips to get that “soul food” in, then check out this one! b) I personally would want all these things! Please be sure to visit each of these donor’s websites and/or instagram pages to support them! Remember, to be eligible to win one of the 3 packages, you just have to check in each week and meet the 2 criteria! I will pull 3 winners at the end of the challenge! 5.) A box of cards from Compliment Card Co.
Time for your first check-in. You know you did it right when you get this at the end! IF you don’t see the embedded survey below, then click this link to take you to your check in! Ok.. Let’s move onto WEEK 2!! 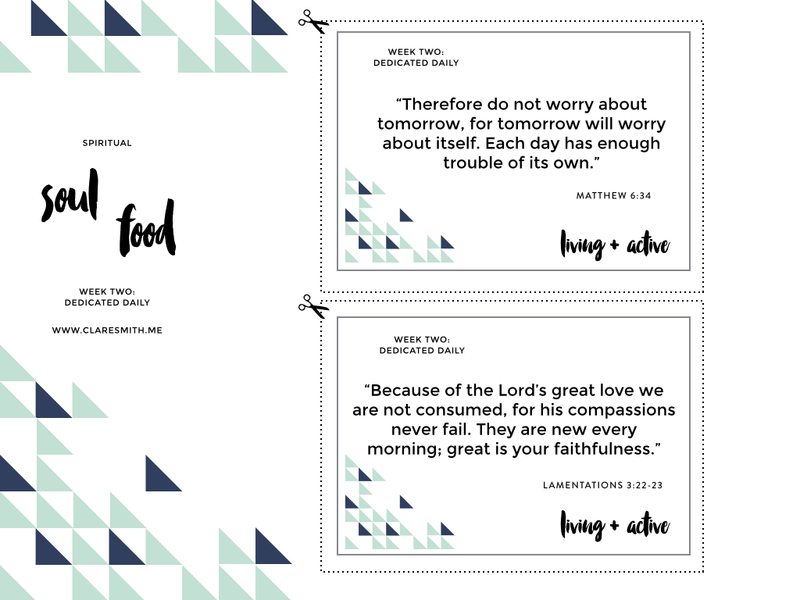 Click here for the printable that you can cut out and carry with you or hang up! (Don’t forget about the verses from prior weeks. Keep reviewing those, too!) I have the additional verse option below too! And now, some insight as to why I chose this as our Key for week 2! 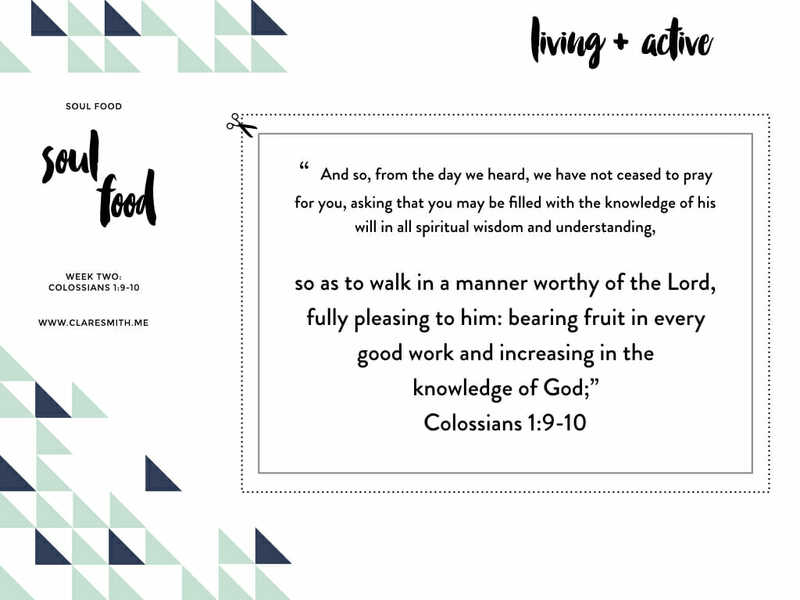 And for those of you using the daily bible reading plan, here is this week’s passages. We are into the Old Testament now. I would love to know how you liked having these and the journal questions that came with them? Click here for the pdf version. The routine is the same as last week. Feel free to mix and match as you please! 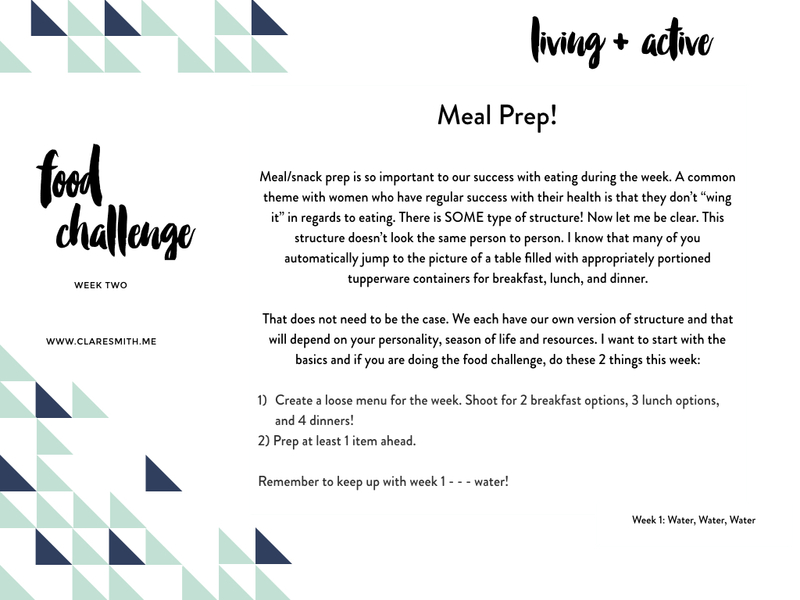 So last week we focused on water and this week we are going to layer on yet another healthy discipline…meal prep! Now before you throw your hands up, I want you to breathe. 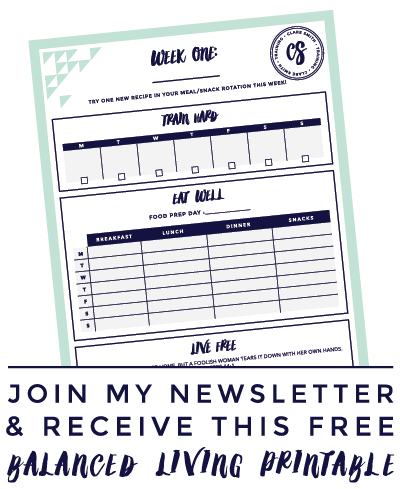 This is the perfect time to use the FREE PRINTABLE included at the bottom of each of my emails! Here is a helpful post with 15 easy meal and snack prep ideas! Also, don’t forget about those pinterest boards you’ve been creating and be sure to check out mine. Remember, sticking to the food portion is not part of grand prize eligibility, but I will add it to the check-in. You are more than welcome to comment below with how you are doing or add it to my facebook wall or twitter! 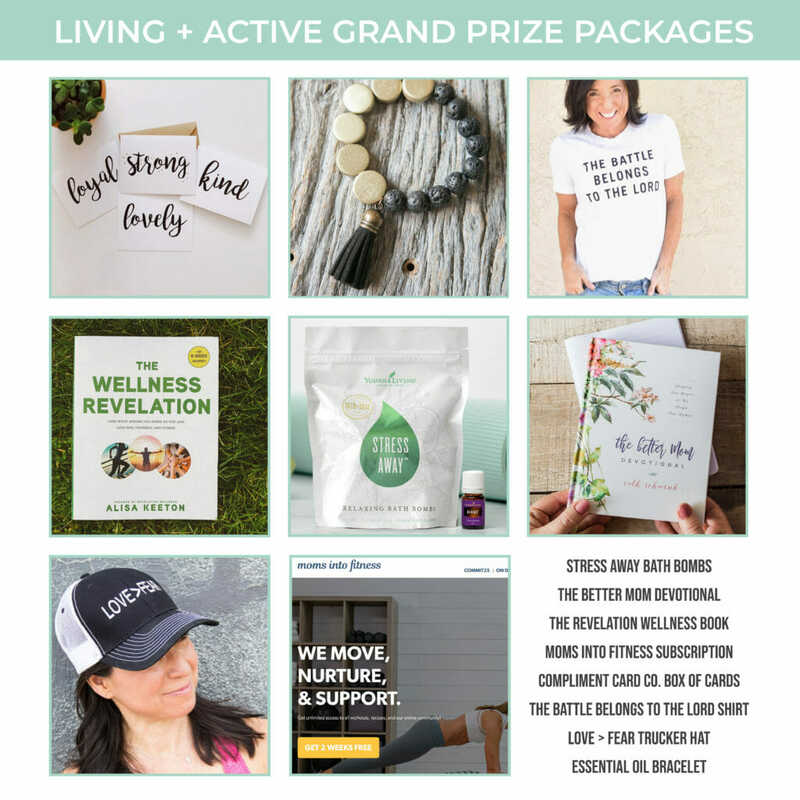 (#livingandactive) Also, don’t forget to check out instagram. You guys have been doing an awesome job of getting your workouts and food out there! AGAIN: You HAVE to fill in the form above to be considered for the grand prize!! If I don’t have your name on there each week, then I won’t have any confirmation that you did the challenge requirements!! I would love to hear from you! 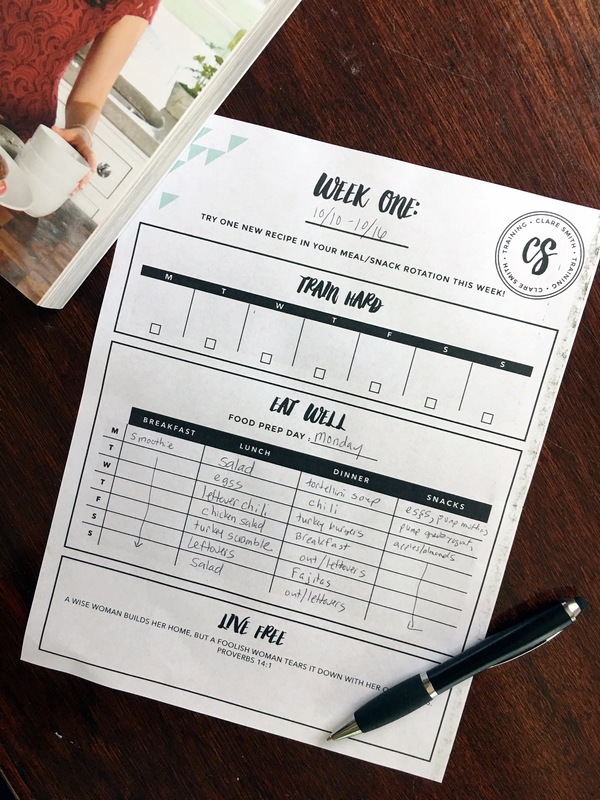 Leave a comment below to let me know how week 1 went!! Praying for you all. Thanks for the encouragement, motivation, and organization!